Let’s face it: The Golden Globe Awards are different from their buttoned-up, snooty big brother, the Oscars. Why? Two reasons, mostly. First: Free-flowing booze. And second: Free-flowing booze! Celebrities sit at large tables together, sucking back vodkas and whiskeys, so it's no wonder the party atmosphere is contagious. That’s not to say that the Golden Globe Awards are not important. In fact, they often predict who will be the big winners at the Oscars Oscar. But while many award show speeches can get repetitive and dull, at this show, they're often the highlight of the evening. Here are the best Golden Globe speeches ever. A great speech can make us laugh, cry, laugh and cry, or perhaps even change the way we think about the world. You know tough guy Ving Rhimes? The one who played a ruthless gangster in Pulp Fiction? Within about five seconds of starting his speech, every person with a beating heart needed a Kleenex and a hug. Don’t expect dramatic actors like Leonardo DiCaprio and Cate Blanchett to bring the house down with laughter, their acceptance speeches had the audience wailing. Hugh Laurie, Jim Carrey, Mary-Louise Parker, and Bette Midler went the comedic route and tickled many a funny bone. Of course, it wouldn’t be a proper Golden Globe speech list without bringing up at least one cringe-worthy moment. Jacqueline Bisset’s 2014 trainwreck acceptance speech is legendary. Check it out for yourself – it’s impossible to look away, even though you really, really want to. 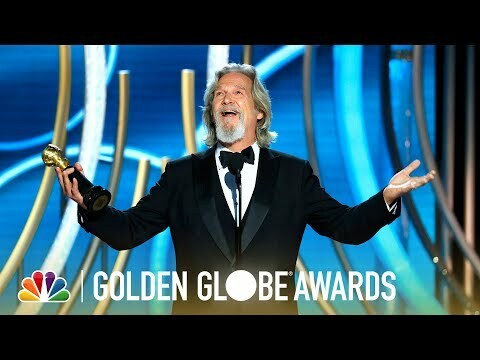 Who had the best ever Golden Globes speech? You decide! Make your voice heard. 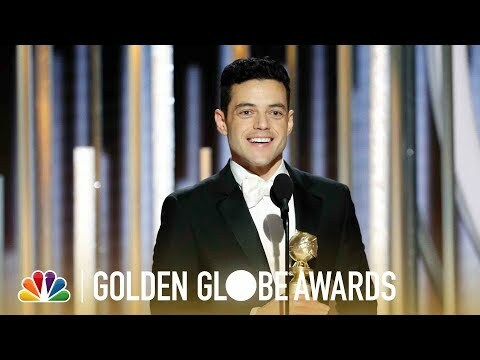 Be sure to upvote your favorite Globes speeches. Although the 2019 Golden Globes found Bohemian Rhapsody in close contest with another musician-themed film, A Star Is Born, it was the Freddie Mercury biopic that swept awards, landing Rami Malek the award for Best Actor in a Motion Picture-Drama. His genuine joy and surprise and effusive thank yous to the surviving members of Queen were enthusiastic and he added one more big thank you to the man he portrayed. "Thank you to Freddie Mercury for giving me the joy of a lifetime," he said. "I love you, you beautiful man. This is for and because of you, gorgeous." After the regular thank yous to his family and wife, Jeff Bridge's acceptance speech for the 2019 Cecil B. deMille award took a quirky and rambling turn full of anecdotes about being "it" in life's game of tag and how everyone is like the little rudder on a big ship. It was charming, and if some found it hard to follow, others loved it and lit up Twitter with praises for everyone's favorite Dude. Oprah Winfrey was honored with the Cecil B. DeMille award at the 2018 Golden Globes (or, as many joked, Cecil B. DeMille was honored by having his award given to her). During her acceptance speech, Oprah touched on the civil rights movement, women's status in the world, and "speaking your truth" – that is, sharing personal stories, even when they're difficult. Needless to say, it was the most inspiring 10 minutes of the night. There wasn't a dry eye in the house when Ving Rhames won the Golden Globe for Best Performance by an Actor in a Mini-Series or Motion Picture in 1998. 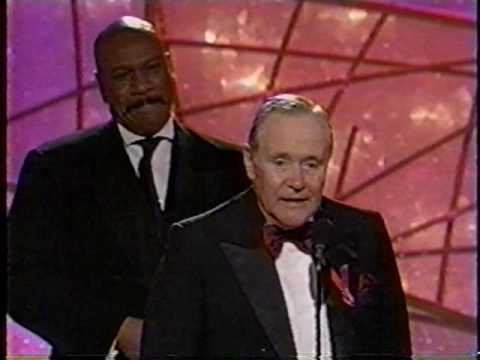 The big, tough-looking Rhames stepped up to the mic and began to cry, then called up Jack Lemmon to the stage, who was also nominated in the category. Rhames then handed over his Golden Globe to the awe-struck Lemon, and the crowd erupted in both tears and applause. #84 on If You Fought To The Death, Who Would You Want By Your Side?